Includes 3 harmonicas in the keys of C, G, & A / Includes a booklet of historical facts, notable figures, & stories about the harmonica. 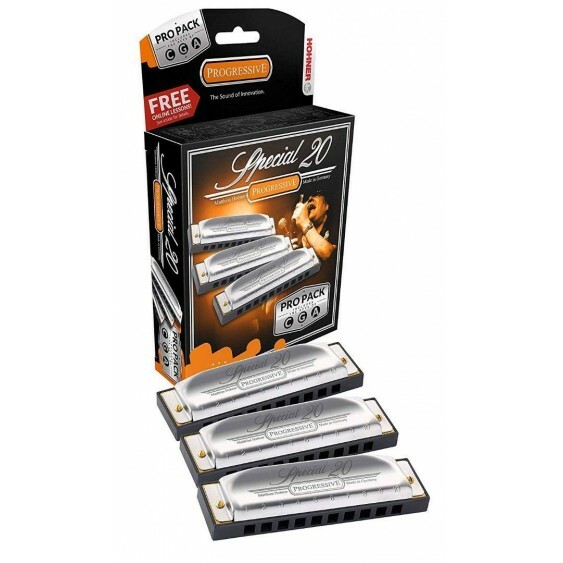 The legendary Special 20 Progressive harmonica offers unique qualities in its response, superior bending, and a rich tone. 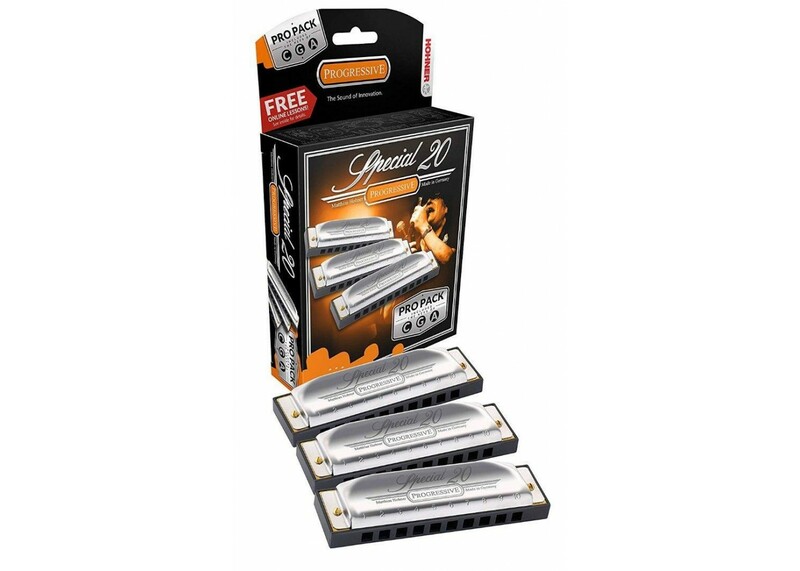 Featuring a durable, airtight, plastic comb, it has become the harmonica of choice for recording artist John Popper (Blues Traveler), as well as musicians that enjoy a wide variety of genres from country and folk, to rhythm and blues. Available in 12 major keys as well as a special Country Tuning, which features a major 7th when played in the cross harp position. Note: Due to health code laws, we are unable to accept returns on opened harmonicas. 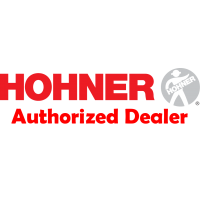 All opened harmonicas must be returned directly to Hohner. PLEASE be sure that you have ordered the correct key! Check for #(sharp) and b(flat) indicators in the title description before confirming your purchase.